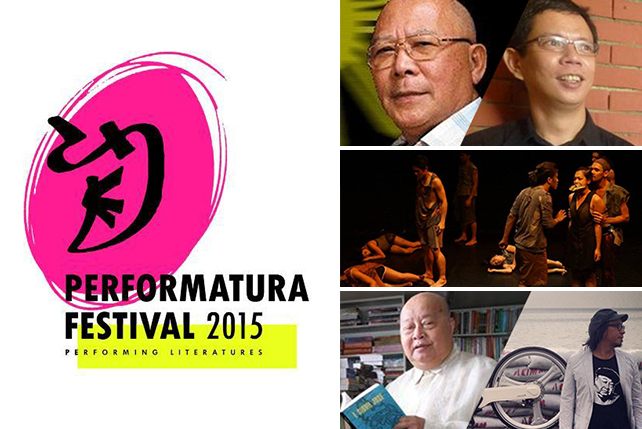 Manila is always brimming with creative talents. 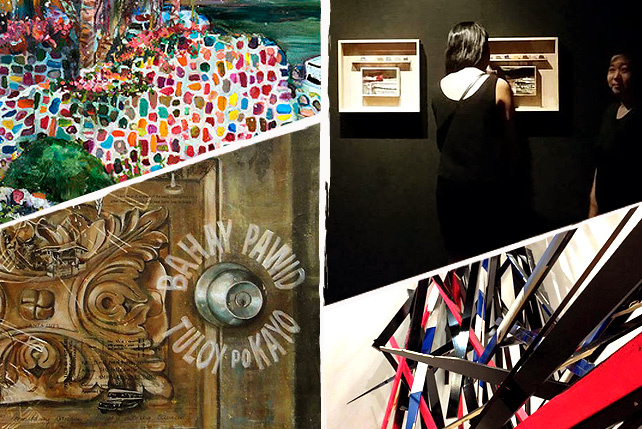 Three female artists created But Where Do We Put It: Carina Santos, Kristine Caguiat, and Paulina Ortega. Water is the central theme of their show. Ortega mainly used graphite and watercolor in representing water inside human beings. The show’s title is also naughty and suggestive, and Caguiat anchored on the different meanings of it. She explored the polarity between shallow and deep interpretations—much like water itself. Santos used deconstructed collage to explore how water keeps everything apart and intact at the same time. The exhibit runs until November 21 at Gallery 3 of West Gallery. West Gallery is at 48 West Avenue, Quezon City (411-0336). For more information, visit West Gallery’s website. Clemens Hollerer comes to Manila after his recent show with 1335Mabini in Taipei. You can expect Hollerer’s signature site-specific installations in his solo show, Counting bodies like sheep to the rhythm of the war drums. The artist constructs and deconstructs wooden pieces based on his own archive of photographs, which come together to form large-scale sculptural installations. Viewers will be challenged on perceiving space and dynamics in relation to form and composition. The exhibit runs from November 14 to December 11 at 1335MABINI. 1335MABINI is at 1335 A. Mabini Street, Ermita, Manila (info@1335mabini.com or 254-8498). For more information, visit 1335MABINI's website. The exhibit runs until November 25 at Vargas Museum. Vargas Museum is at Roxas Avenue, University of the Philippines, Diliman, Quezon City (vargasmuseum@gmail.com or 928-1927). For more information, visit the Vargas Museum’s website. What do you get when you combine time lapse video and mixed media pieces? That’s what you will see in Kitty Kaburo’s first solo exhibition, Violent Noon. Witness the transformation of objects and places gradually interact with the environment, like melting ice and paint. Kaburo’s works follow a story of intense heat, followed by the great flood, leading to the rainbow, and finally to the interpretations of present day spectators who are thoroughly influenced by digital alterations and filters. 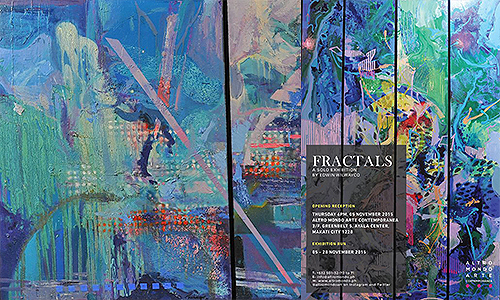 The exhibit runs until November 21 at Artinformal. Artinformal is at 277 Connecticut Street, Greenhills East, Mandaluyong City (725-8518). For more information, visit Artinformal’s website. 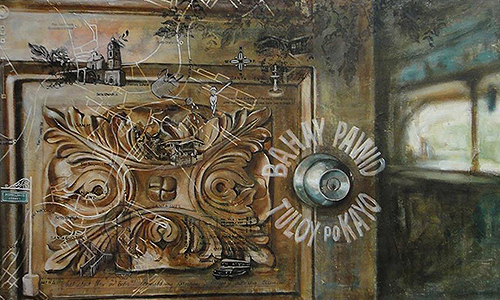 Ninel Constantino’s ancestral home in Betis, Pampanga, is called Bahay Pawid (or Bale Pinaud in Kapampangan). On his ninth solo show, Bahay Pawid: Tuloy Po Kayo, Constantino invites viewers to a tour inside this home through his works of acrylic on canvas with emulsion transfers. The artist depicted the house of wood and nipa in different points in time where his stories, dreams, and memories were formed. The exhibit runs until November 21 at CANVAS Gallery and Garden. CANVAS Gallery and Garden is at 1 Upsilon Drive Extension, corner Zuzuarregui Street, Alpha Village, Diliman, Quezon City (436-4509). For more information, visit CANVAS’ website. 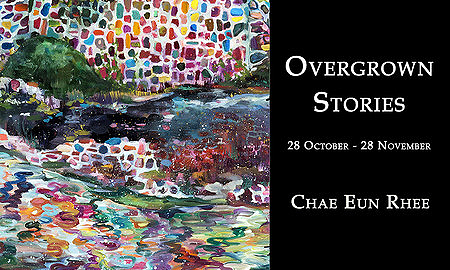 Seoul-based artist Chae Eun Rhee is having her first solo show in Manila. In Overgrown Stories, Rhee tackles landscapes and how they can renew, grow, and transform to vibrant insights and realities. Her use of colors and undertones is chaotic and cohesive at the same time. It reminds us of Banksy’s "Dismaland," the dystopian theme park. Endless imaginative possibilities await visitors of the show. The exhibit runs until November 28 at Artery. Artery is located at 102 P. Tuazon Boulevard, Cubao, Quezon City (725-2837). 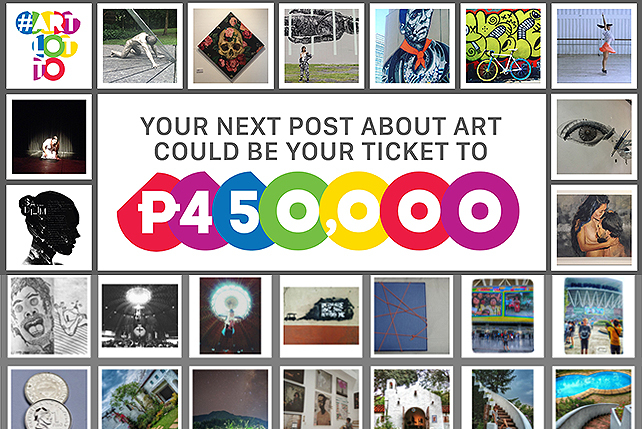 For more information, visit Artery’s website. View or purcahse the works of classical Filipino master sculptors. We’re talking about sculptures created by National Artist Guillermo Tolentino, Isabelo Tampinco, Anastacio Caedo, Graciano Nepumoceno, Fred Baldemor, Angelo Baldemor, and Italian sculptor Francesco Monti. Some of the items in the show have been out of circulation for more than half a century and are available for sale for a limited time. Magnificent Masters Collection Exhibition showcases marble and wood religious and historical Pinoy sculptures, with some dating 100 years old. The exhibit opens on November 14 at Galeria de las Islas. 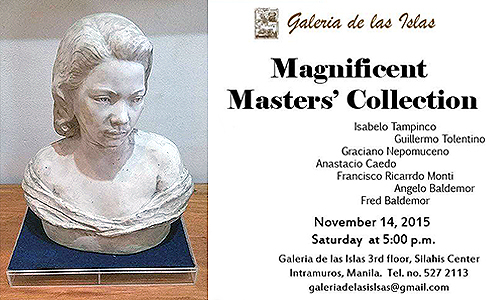 Galeria de las Islas is at 744 General Luna Street, Intramuros, Manila (527-2113). For more information, visit Galeria de las Islas’ Facebook page. 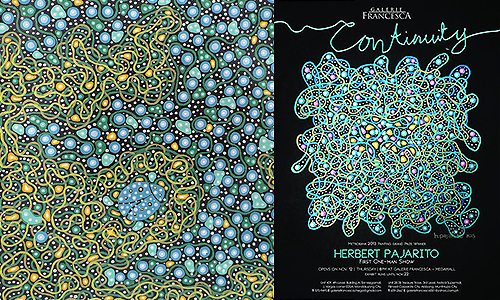 Award-winning abstractionist Herbert Pajarito is having his first solo show entitled Continuity. The artist is inspired by two tradtions: the Western perspective of what is old is replaced with the new in an endless cycle, and the Asian concept of yin and yang. Pajarito banks on layers on controlled symmetry merged with careful technique to produce continuity and balance in his works. They may look like beautiful images seen through a microscope, or digitally made prints, but they are painted by hand using acrylic. 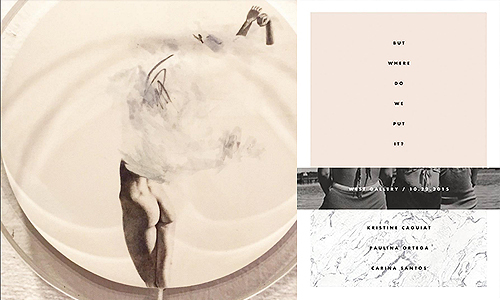 The exhibit runs from November 12 to 22 at Galerie Francesca. Galerie Francesca is at 4/F SM Megamall Building A, EDSA corner J. Vargas Avenue, Mandaluyong City (info@galeriefrancesca.com or 570-9495). For more information, visit Galerie Francesca’s website. Ryan Villamael was recently awarded the Fernando Zobel Prize for Visual Arts at the Ateneo Art Awards with his series, Isles. In Behold a City, Villamael re-mapped Manila through mounting photographs of iconic and sketchy buildings, some from an era long gone, to summarize his vision of being a Manileño. All these structures show only the facades, not revealing anything in full. It also gives an impression that the city is only a map of the city inside the artist’s mind. The exhibit runs until November 21 at the Silverlens. Silverlens is at 2/F YMC Building 2, 2320 Don Chino Roces Avenue Extension, Makati City (info@silverlensgalleries.com or 816-0044). For more information, visit Silverlens’ website.